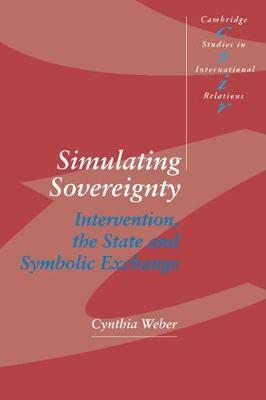 In Simulating Sovereignty Cynthia Weber presents a critical analysis of the concept of sovereignty. Examining the justifications for intervention offered by the Concert of Europe, President Wilson's Administration, and the Reagan-Bush administrations, she combines critical international relations theory and foreign policy discourses about intervention to accomplish two important goals. First, rather than redefining state sovereignty, she radically deconstructs it by questioning the historical foundations of sovereign authority. Secondly, the book provides a critique of representation generally, and of the representation of the sovereign state in particular. This book is thus an original and important contribution to the understanding of sovereignty, the state and intervention in international relations theory.